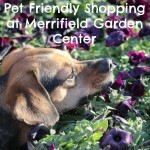 Merrick Whole Earth Farms Makes Rotation Diet Easy Open Your Heart to Pet Adoption. Blessings in Disguise. I’m still a gardening newbie by far. I only started trying to really grow anything just over a year ago. Last week I wrote about how the Spider Plant is an easy to maintain and pet friendly house plant option, but still I managed to kill my first one. After mourning its death, I took a step back and figured out what went wrong. My second Spider Plant has lived through two different moves and is going on three years! If you purchase potted plants, gently loosen the roots at the bottom so that they can spread freely. 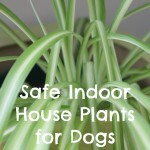 This applies if you are transfering a potted plant into a larger pot or into the ground. Doing this ensures that proper water and nutrients makes it up to the leaves and the rest of the plant. When transferring a potted plant, dig a hole bigger than the current pot so that the whole plant will fit. This also creates loose soil around it, which will allow the new roots to more easily penetrate. What else should new gardeners consider? Keep your habits in mind. If you tend to over water, get a moisture control soil or set up a calendar. 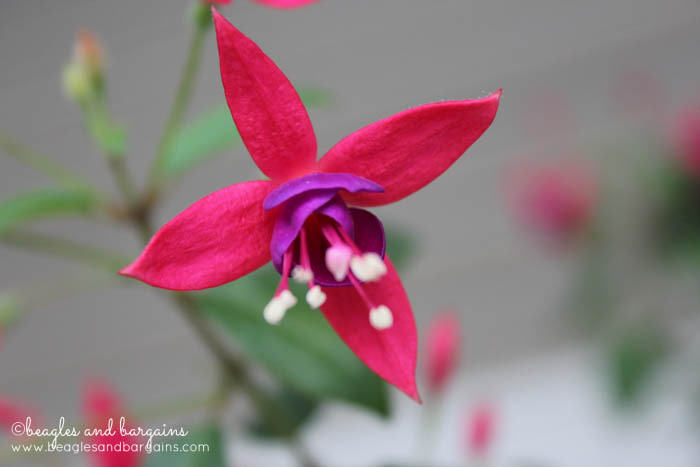 If you tend to forget to water your plants, then try a plant that prefers a drier soil. Get a rain gauge to keep track of how much rain water is getting to your garden. Prune (or remove) dead or old parts of the plant. This will encourage the plant to keep blooming. Start small with only a few plants that you can easily manage. Add more next year when you have more experience under your belt. Read the tag or seed packet before planting. It often contains useful information about lighting, soil, water, and more. Don’t let weeds compete for water and nutrients. Remove them when they pop up. 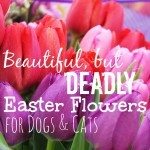 Try an easy to grow flower first. 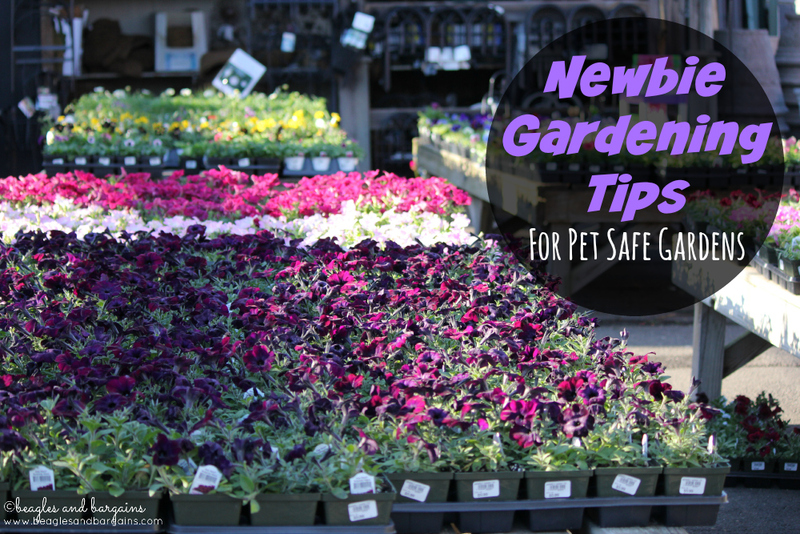 Some of my pet friendly favorites are Sunflowers, Petunias, Marigolds, and Fuschias. If you go on vacation, don’t be afraid to ask a friend or neighbor to water your plants. You worked hard on your garden and you don’t want to see it wilt away while your are poolside. Leave some basic instructions and thank you gift for their time. 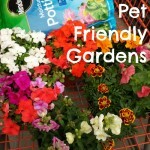 Want more on pet friendly gardening? You might enjoy these posts too! 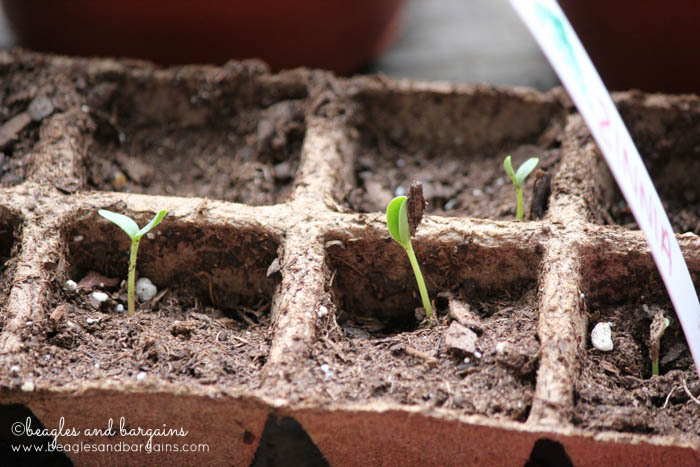 What gardening tips do you have for a beginning gardener? 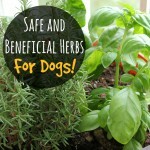 Thanks for the links to the sites with all the posts and tips, especially like the safe herbs for pets because I had somehow missed that post. Good reminders for this time of year. Very cool! And thanks for including me on your list! I’ll have to start fixing my garden again… I always let them get out of hand lol… Right now there are just some Gerber Daisies blooming that came back from last year. I love Gerber Daisies! It’s tough to find time sometimes. I’m planning to do some work this weekend! on Sunday, then it’s that mad dash toward the finish line! These are good tips. I desperately want to start a garden, growing beautiful flowers and organic, GMO-free fruits and veggies. I am doing as much research into what is suitable to plant for my area as well as what I should not plant because I have a little curious wanderer who likes to sniff EVERYTHING in the backyard. Not to mention that he would certainly kill it once he lifts a leg over it! LOL. I needed these tips earlier this year!!! I did try to get some seedlings and they were doing great until a 100 mile wind came through my yard and obliterated all of them. Lady Girl usually just goes after the grass for an upset tummy. i like to grow lots of plants, i live on over 11 acres, have several very large flower beds, i have lots of herbs growing to try to keep he deer away, which they are supposed to not like, but if hungry they will eat anything. i save seeds and throw they over my deck and gets lots of surprises, one yr i had watermelons, large squash, you can grow grape tomatoes from the rotten ones, etc. cantaloupes have nice flowers.